Unite for HER and the Pink Invitational are proud to offer this special coaching award inspired by the passion and generosity of John Pancott. His positive approach to working with gymnasts and ability to bringing a smile to all he met were legendary. We invite you to take a moment to read about the qualifications that award nominees should possess, and the process for nominating a coach for consideration. Please use the link below to view the criteria and application. Please note, the submission deadline is February 15, 2019, and all applications must be completed by USAG Pro members. This outreach program was created to ease the emotional and financial burden experienced by gymnastics coaches, judges, and their families as they battle breast cancer and into recovery. We currently have rolling submissions to allow qualified persons to apply anytime during the year. Unite for HER is grateful for the unwavering and generous support the gymnastics community has shown our organization, and are honored to partner with GK Elite Sportswear in a way that allows us to give back to those in need. Please see the links below for our grant criteria and applications. All coaches on the competition floor must be USAG Professional members in good standing. All rostered coaches will receive a complimentary event t-shirt at registration. 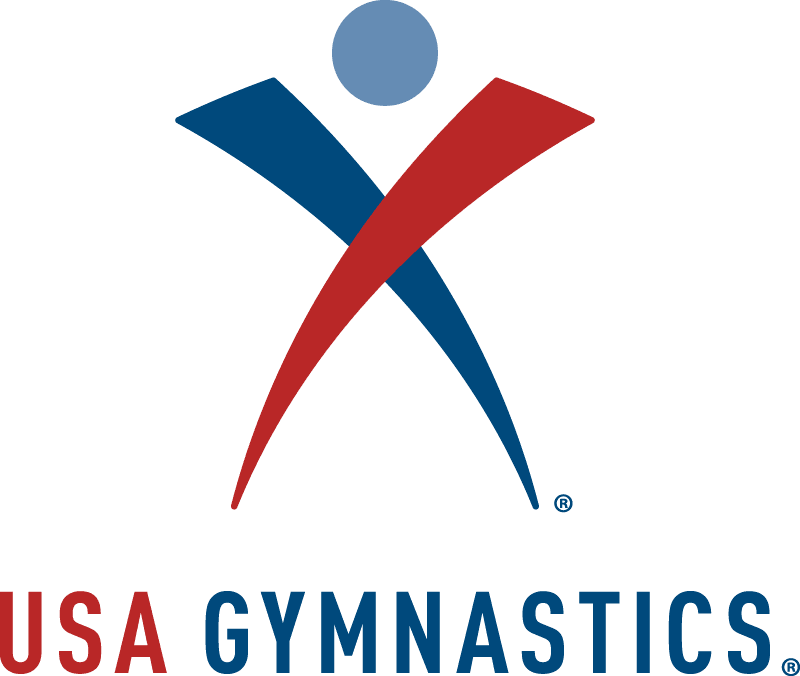 Coaches should bring their USAG card when they check-in at the event. A complimentary GK competition leo will be provided for your gymnasts. Gymnasts may wear pink accessories to show their spirit during march in. However, we do ask that they NOT wear a shirt or team warm-ups that covers their leo. Coaches will receive a Panera Bread food voucher at the Coaches Meeting from the Meet Director. Limit one voucher per coach, per day. Judges hospitality will be provided throughout the weekend. We are so grateful for the continued support of the National Association of Women’s Gymnastics Judges. Your commitment to the success of this event and helping women with breast cancer has a lasting impact on the lives of people affected by the disease, the gymnasts that attend the event, and the entire gymnastics community. We also embrace the tradition of the Strength of Character Award given each session by the judges. The gymnasts that have received this special award felt truly honored to be recognized. Thank you for your generous donations. 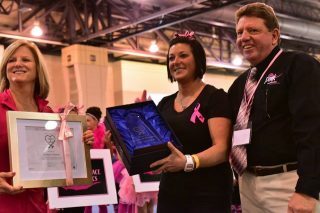 The Pink Invitational was proud to present A2 Gym & Cheer coach, Paula Jo Chausse, with the first John Pancott Heart of Gold Award at our 2017 event. This award was given in honor of John Pancott who was a giant in the gymnastics world until his passing in 2015. Paula has the same heart and passion for the sport and the athletes she trains. Congratulations, Paula!